Warm wonderfulness from the great Al Green – a record that may have a pale-looking cover, but a set that's one of Green's most deeply soulful albums ever! 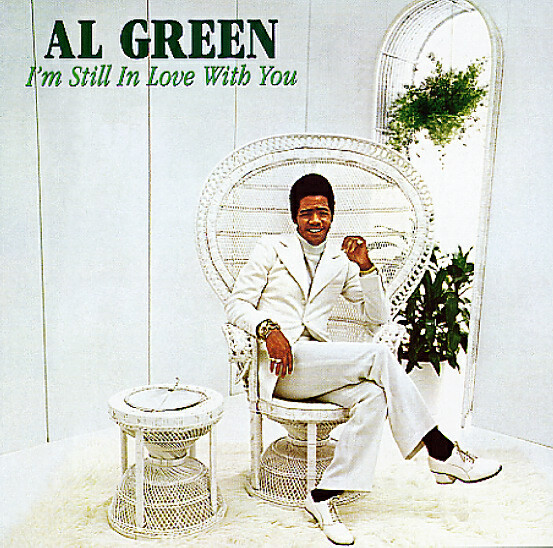 There's a grace and a glow to the set right from the very first note – that really unique presentation and performance that makes these early 70s Green albums such enduring treasures – and so unlike anything else that's ever come since, no matter how many folks were influenced by Al's sound! The production is perfect – with Al helping Willie Mitchell at the helm, as they balance together the richness of the instrumentation with core elements in the rhythms – on titles that include Al's stone classic "Love & Happiness", plus "I'm Still In Love With You", "I'm Glad You're Mine", "What A Wonderful Thing Love Is", "Look What You Done For Me", and his great remake of Kris Kristofferson's "For The Good Times" – a country/soul classic if there ever was one! © 1996-2019, Dusty Groove, Inc.